There are currently 91,182 users on this website. 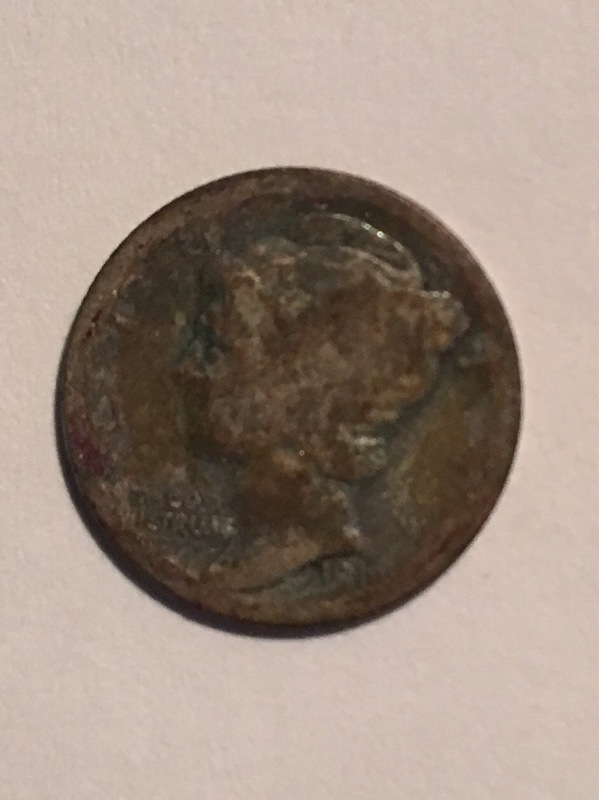 Hello, I found a 1916 Mercury dime in pretty rough shape while metal detecting. On the reverse of the coin the letter "P" is stamped below E Pluribus Unum. Does anyone know what this marking means and why it's there? Thank you! Someone counter-stamped it. The coin is worth silver value only. Thank you! I wasn't finding anything online but "counter-stamped" was the magic word I was missing. Thanks again! Interesting, but no way to trace it. Agree, just worth melt. It's a counterstamped coin. The condition is very rough, so it's only worth Silver melt value now. I guess someone just wanted to let everyone know it is a Philly and Not a Denver mint . NO added value . 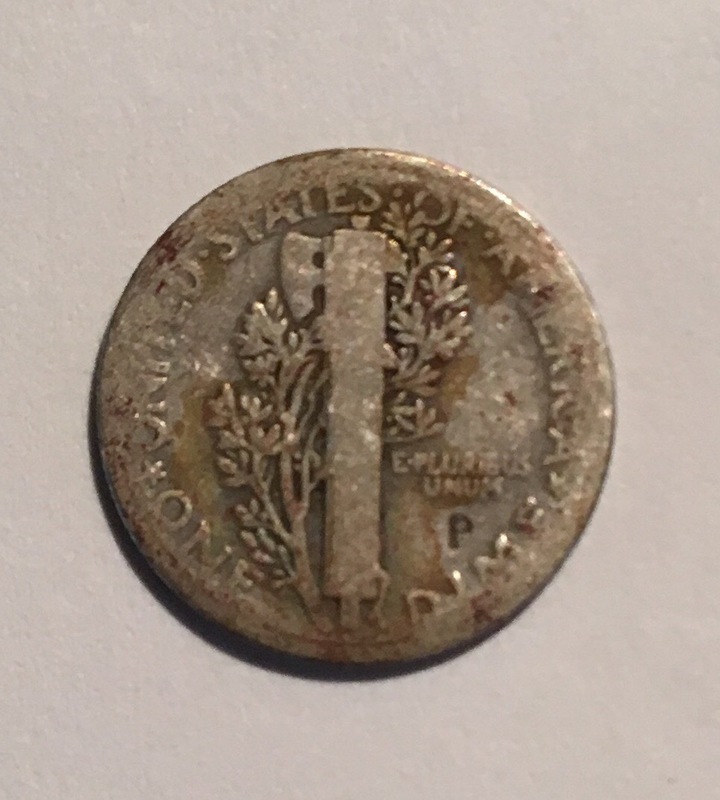 Would a "D" counter stamp be worth more?